Work with me on an image here. You're going to see Disturbed, Stoner Sour, and Avenged Sevenfold. They happen to be three of your favorite bands. You're going with your best friend, who also happens to love all three bands. Now, let's make this better. Let's say you can see them from on-stage or from the Pit, your choice. You can get first-in-line treatment at all of the artist signings at the event. You get to tour the whole backstage area (Who knows just whom you might meet there?) before the show. You get a limited edition "Working Crew" t-shirt, and a custom tour art Evans drumhead signed by the members of all three bands to boot. And the cherry on top of it all? Anything you spend on this goes straight to non-profit charity organization Child Find of America. Enter the Rockstar Energy Drink UPROAR Charity eBay Auction and bid on 2 tickets that get you and your best friend (or one crazy lucky stranger) all of that and then some. The auctions started on August 1st, so start bidding now to get your premium tickets to one of the 35 stops on the tour; one auction will be posted for ten days at a time for VIP tickets to EACH TOUR DATE. It starts August 17th in Minneapolis, Minnesota, and ends October 4th, in Madison, Wisconsin, so you have plenty time to make at least one of the shows. 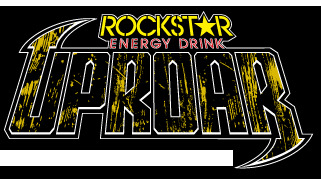 The Rockstar Energy Drink UPROAR Tour will feature two stages as well as several other bands, including Hellyeah, Halestorm, Airbourne, Hail the Villain, and New Medicine, as well as one Jägermeister-sponsored local opener in each city. As for the matter of that charity you’ll be supporting (this is all for a good cause, you know), Child Find of America offers families various services including free investigation and location services, free kidnapping prevention programs, free referral and support services and free mediation for parental abduction cases. Their efforts have helped and continue to help keep millions of lives that much safer, and have helped to reunite more than 400 families every single year. Any and all proceeds from the Rockstar Energy Drink UPROAR Festival eBay ticket auctions will benefit their noble cause. More information on Child Find of America can be found at www.childfindofamerica.org. For more info about the Rockstar Energy Drink UPROAR Festival or for links to the 35 charity eBay VIP ticket auctions, please check out: http://www.rockstaruproar.com. Compiled from a PR That Rocks press release.